On FerAltar we have a large fleet, and for us, it’s important all our vehicles be always clean and in a excellent condition for your safety and confort. 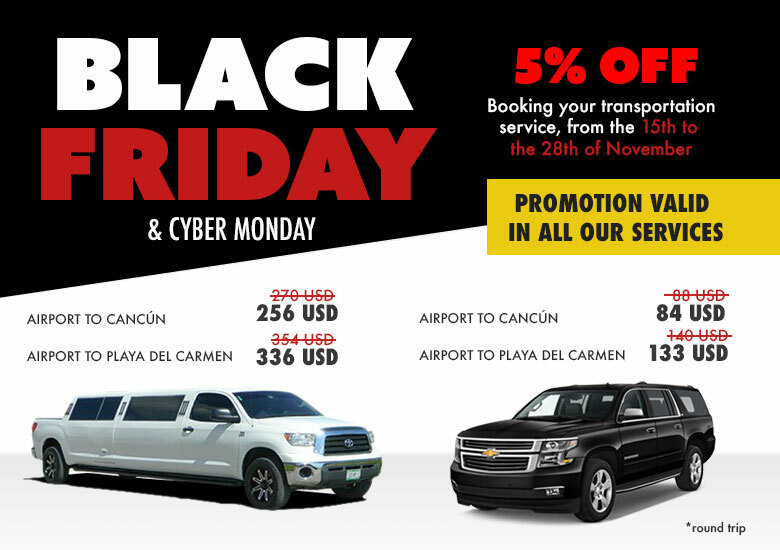 We have different types of services, the Private transportation service aboard of a Chevrolet Van Express, the VIP transportation from the cancun airport aboard of a Chevrolet Suburban Luxury Edition, and the Cancun Airport Limo transportation, all of them are of a recent model and have all what you need to have an comfortable transportation. Caring for the smallest details: a smile of welcome on your arrival, help to move your luggage, kindness ... etc. Our fleet consists of Luxury Suburbans, Vans, Toyota hiace and late-model limousines. For your convenience, all our units are equipped with GPS and speed control system in real time, this allows us to have all services tightly controlled to ensure your safety.